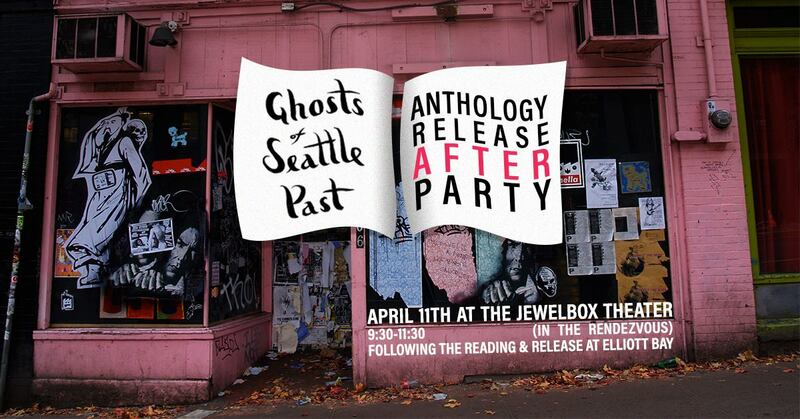 The Ghosts of Seattle Past anthology is being printed as we write, and we can’t wait to gift the city a typeset-and-bound gift of all the stories it’s lent us. We’re putting together events across the country, and there are no holds barred (though there will occasionally be bars, and as of this blog post there are already 17 holds on the not-yet-totally-existent book at the Seattle Public Library). We’re kicking off the first of several Seattle events with a two-part (!) 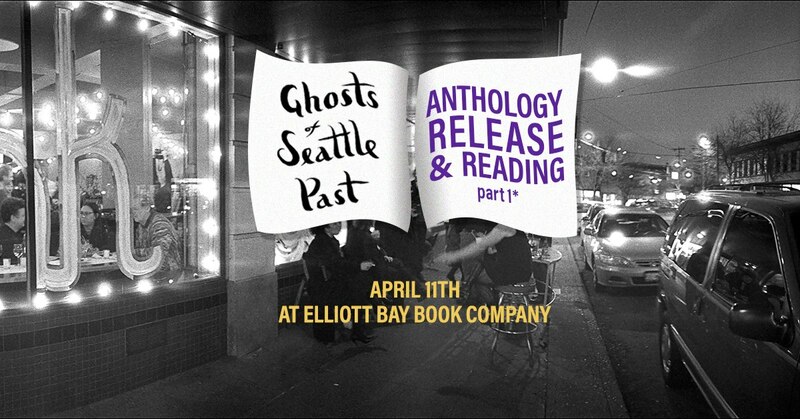 anthology launch on April 11th. There’ll be more to come next week about other upcoming events in Seattle and across the country, but in the meantime make sure to put this riot of nostalgia and creativity on your calendar.